Park City is home to several famous ski resorts; venture off the beaten path and you’ll find an expansive network of trails. In fact, the hardest part about visiting Park City in the warmer months is choosing which spectacular route to hit first. The first time I visited Park City, Utah for a hiking and biking trip with my then-boyfriend Ben, I immediately knew it was a place I would return to again and again. While most people know this mountain town as a winter skiing destination, I was pleased to discover a vast network of trails perfect for hikers and bikers visiting in the summer and fall. During our trip, we tried out Park City’s beginner, family-friendly routes, lung-busting climbs and everything in between — all of which offered chances to take in the area’s rugged beauty. Here are a few of my favorites. 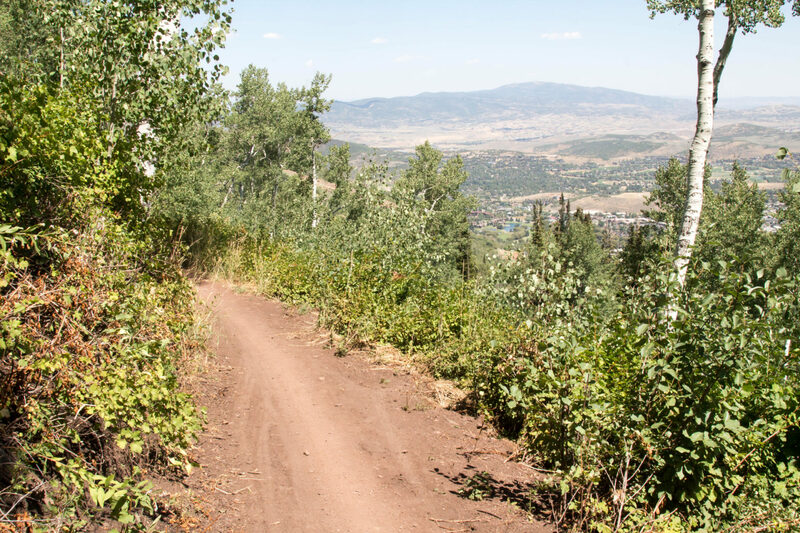 This gem of a trail system is located just outside Park City and features well-marked trails, rolling hills and a sagebrush-covered landscape. Because you can make short loops and the elevation gain is gentle, it’s great for a relaxing stroll or for families (we saw lots of kids). The trails are dog-friendly, so we took our husky, Kona, on an hour-long trek up the hikers-only PC Hill, then connected to the dog park located at one of the trailheads. Round Valley is a popular mountain biking spot as well, offering intermediate-level riding. Ben seemed to be in a big hurry, so we made it to the top of the trail — the Bald Mountain Summit — in a little over an hour. As I was taking in the views of the Jordanelle Reservoir and the Uinta Mountains, I turned to find Ben on one knee, holding a ring. He was so flustered that he forgot most of the proposal speech he had planned, but all that mattered is that I said, “Yes!” We were all smiles as we headed down to the base on the Sterling Express chairlift. Like to bike but concerned about gravity working against you? Try lift-accessed mountain biking for an easy trip up and a fun ride down. 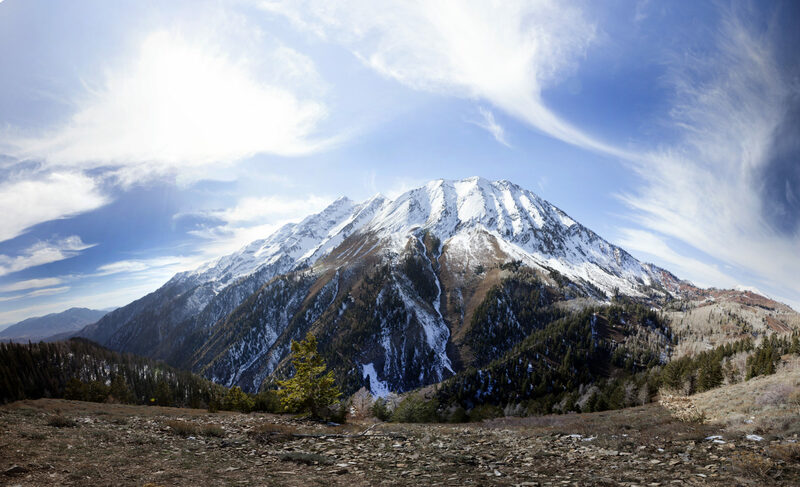 Needless to say, the rest of our Park City trip was an engagement celebration, and we treated ourselves the next day to a mountain bike excursion on the legendary Wasatch Crest Trail, the crown-jewel of the area’s biking trails. Ben and I now joke that this ride immediately put us to the test as an engaged couple because we chose to ride the trail the most difficult way possible. From Old Town Park City, it took two hours and 4,000 feet of climbing through two ski resorts to get to the top of The Crest. Along the way, we passed alpine forests and dramatic views, but we were completely spent when we arrived at Scott’s Bypass, near the high point of the trail. Turns out you can hire a shuttle to drive you to the top, but I guess we wanted to do things the difficult — and memorable — way. The descent was well worth the uphill suffering: we encountered panoramic views of the valleys, a dramatic vista of Desolation Lake and a section called The Spine that gave Ben an adrenaline rush, but nearly made me wet my shorts. If you’re in good shape and at least a moderately skilled biker, put this ride on your to-do list! Wrap up a day on the trail with a delicious meal and a refreshing drink. Casual post-trail options with great atmosphere include the No Name Saloon in Old Town or Drafts Burger Bar at Canyons Village. For a gentler — but still challenging — option, Mid-Mountain is another classic Park City route. Spanning from Park City to Deer Valley, this trail can be thought of as a backbone connecting the higher points of the area’s major mountains. 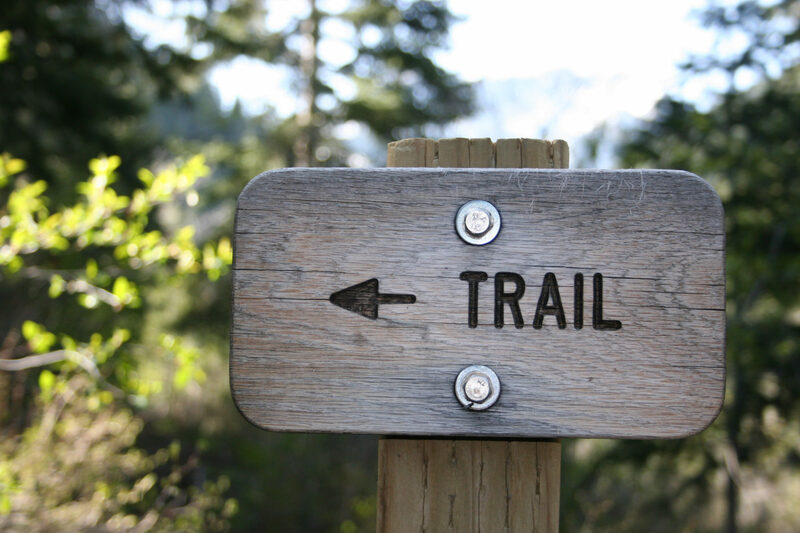 It’s great for bikers and hikers alike, featuring an uphill climb from either direction to reach the trail followed by a gentle, rolling ride or hike through the forest. Route options abound, and since my first Park City visit, I’ve biked it multiple times as part of various rides. My favorite variation is riding up the Armstrong Trail from Park City and riding Mid-Mountain to Deer Valley. From there, you can coast downhill back to town. Meanwhile, my (now) husband enjoyed running the section from Park City Mountain to Canyons Village, a route also popular among hikers. 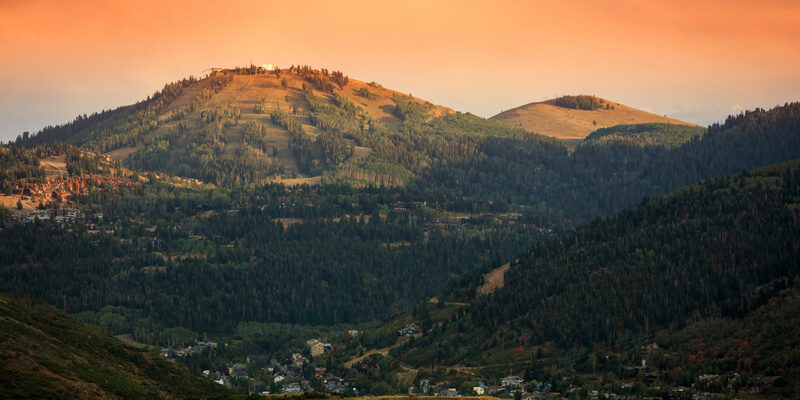 On our last day in Park City, we chose to do Iron Mountain, a three-mile, out-and-back hike from town, and discovered that it’s a local favorite for several reasons. First, it’s extremely dog friendly, and Kona met many canine friends along the way. It’s also a great spot to see wildflowers in the summer, fall colors in September and wildlife (including moose and deer) for much of the year. Plus, bikes aren’t allowed, offering solitude for those on foot.